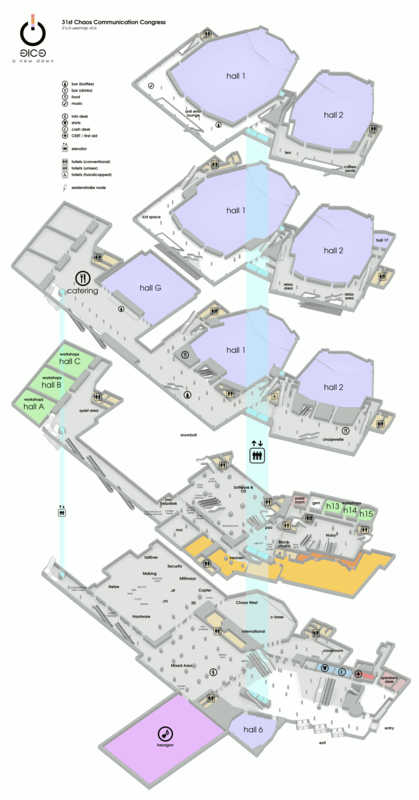 The 31th Chaos Communication Congress takes place in the Congress Center Hamburg, Germany. There is a 1st version of a map online in the wiki. Please dont consider this a final. There are signs on the tables as well, and not all of them in the map. This page was last modified on 25 December 2014, at 21:45.